This sounds like a nonsense question: How do I determine and find out which Windows (i.e. Windows Vista, Windows 7, Windows 8, Windows 8.1, Windows 10 or later) edition that I have and using now, or which edition that is installed on my computer? However, if you have your Windows preinstalled on your computer when you purchased a new PC or laptop, you might want to check what is the actual edition of Windows that is installed and running on your system now. Beside, over a long time, especially if you have upgrade Windows via Windows Anytime Upgrade (WAU) for Windows 7 and Windows Vista, or add features in Windows 8, Windows 8.1, Windows 10 or later, and have forgotten what is the upgraded version of your purchase. In addition, Microsoft has made matter complicated with editions which meant for specific countries or regions, such as N and KN versions. In whatever cases, you can easily find out and determine which edition of Windows you’re using now. Then click on Control Panel, follow by System and Maintenance. 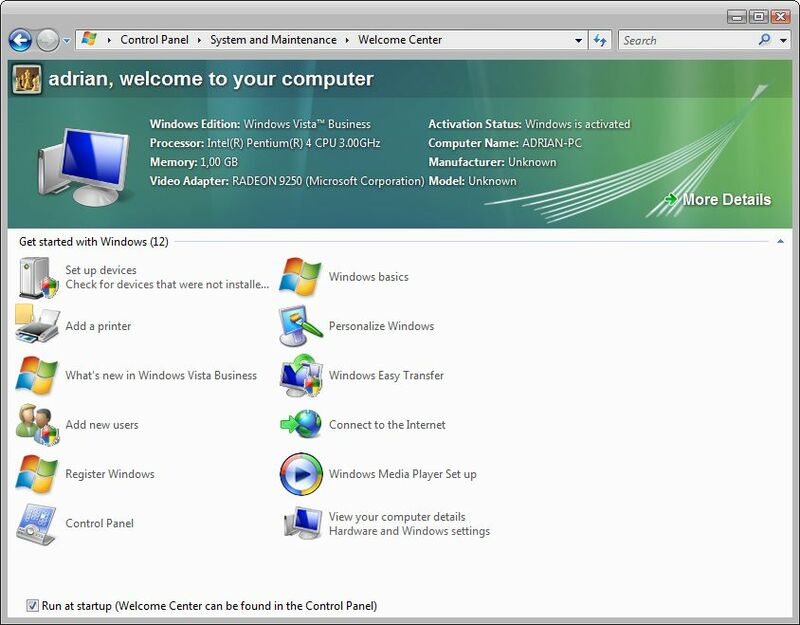 The edition of Windows Vista you are running is displayed with your computer details near the top of the window, as shown below. In Windows 7, click the Start button . Then click on Control Panel, follow by System and Security. Click on System to view the basic information about your computer. 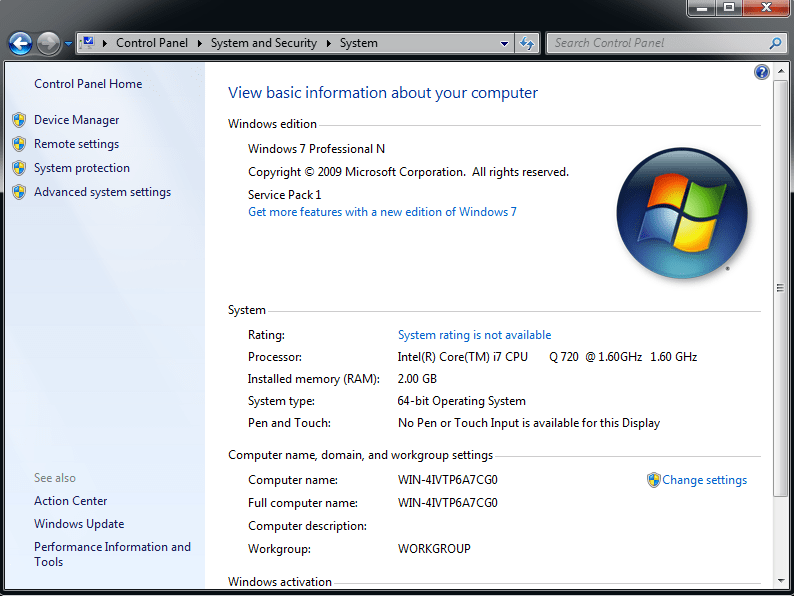 The edition of Windows 7 you are using is displayed at the top under “Windows edition”, with system architecture (32-bit or 64-bit) listed as “system type”. In Windows 8 or Windows 8.1, slide from right, or slide the mouse down from top right or up from bottom-right corner to bring up the Charms bar. Click/tap on Change PC Settings. Go to PC and devices -> PC info. 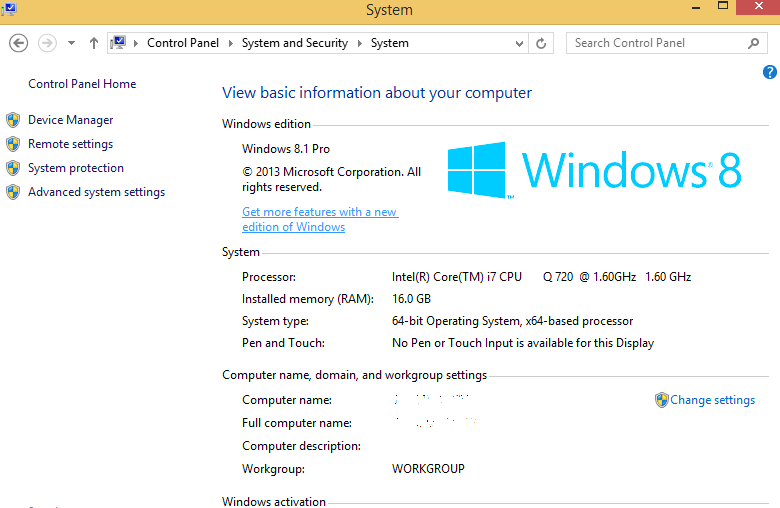 The edition of Windows 8 or Windows 8.1 installed is displayed at the bottom under “Windows”, with system architecture (32-bit or 64-bit) listed as “system type”. In Windows 8 or Windows 8.1, right click on bottom-left corner or Start button or press Win + X keyboard shortcut to access Power User Win-X menu. Select Control Panel in the WinX context menu. Go to System and Security -> System to view the basic information about your computer. 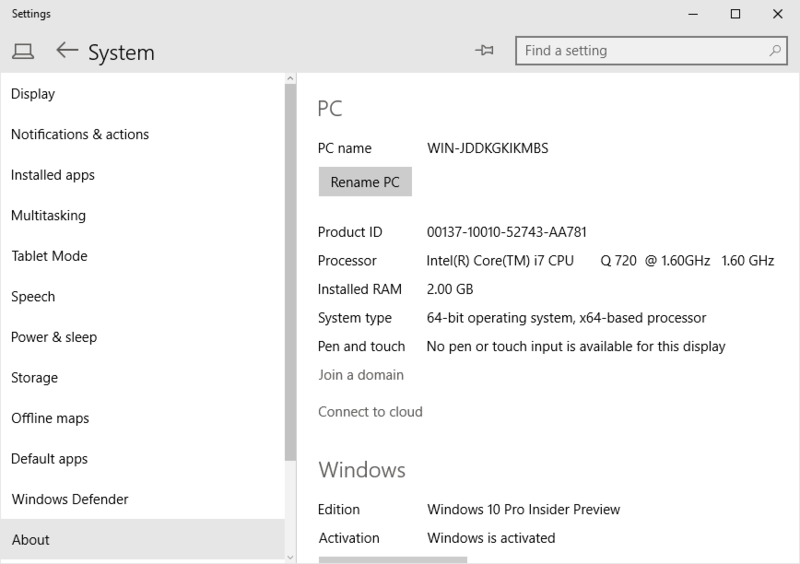 The edition of Windows 8 or Windows 8.1 you are using is displayed at the top under “Windows edition”, with system architecture (32-bit or 64-bit) listed as “system type”. In Windows 10, slide from right, or click/tap on Notifications icon on the system tray to bring up the Notifications bar. The edition of Windows 10 installed is show under “Windows” section, with system architecture (32-bit or 64-bit) listed as “system type” above. In Windows 10, right click on Start button or press Win + X keyboard shortcut to access Power User Win-X menu. Alternative, if you’re already at the About PC screen in Settings app, you can scroll to the bottom and click/tap on System info directly to access the same Control Panel applet. 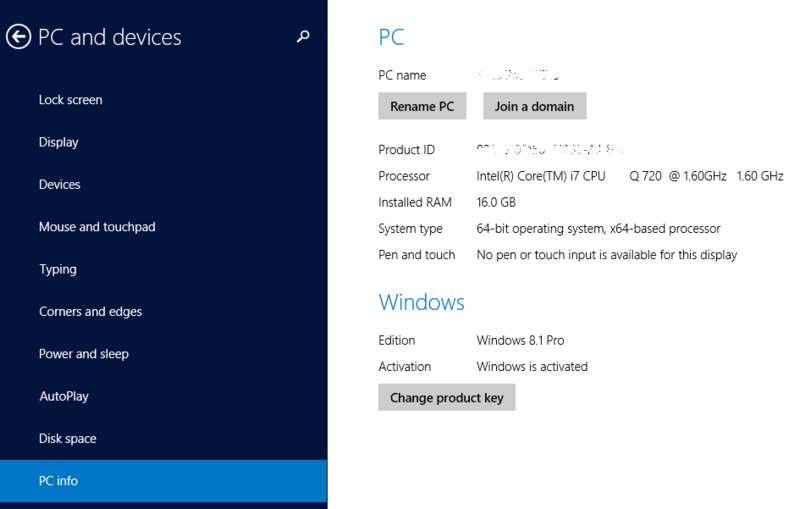 The edition of Windows 10 you are using is displayed at the top under “Windows edition”, with system architecture (32-bit or 64-bit) listed as “system type”.